Blessings back to you my friend. Thank you! I take your well worded prayer very serious Lynn and receive every word! Thank you for being such a faithful blogger. I pray this will be your best year yet, in writing, in health, in relationships and with the Lord!! PS: would be so kind as to highlight GRACE OF GIVING at the end of this month? I’ll e-mail you the link to Amazon when I have it. I’d be honored! Thanks so much, I appreciate the opportunity. May the Lord’s shadow of forgiveness be thrown over the disappointments and troubles of the year now past, while His Light is cast as a beacon of guidance to His safe haven of the days yet to be explored. I might add too that you have been a tremendous blessing to me in 2008! What can one say to blessings like that Lynn? AMEN!! and Amen! Thank you so much for your inspiring words, you are an encouragement and may everything you give be given back to you: pressed down, shaken together and running over! Thanks for the blessing Lynn. You are a very gracious and beautiful person. 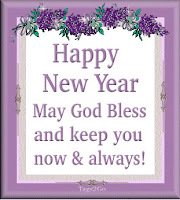 May God bless you and yours in the new year also. Thank you, my sweet Lorrie! Marja, my friend, I always appreciate your comments. You always encourage me. Thank you! Lynn, these words of blessing warmed my heart. Thanks and may these wishes redound back to you and yours. Happy New Year! Maxine, Thanks so much for your kind words and especially for the blessing! Lynn, Thank you for sharing your light with others and blessing our lives. 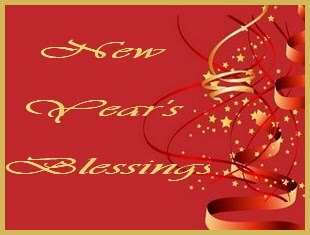 Wishing God’s blessing on you and your family this coming year.